Landlords in West Virginia must follow the legal eviction process to remove tenants from a rental unit. Tenants can be evicted only for legal reasons, such as nonpayment of rent, damaging the property, violating the terms of the lease, or the expiration of the lease. The eviction process provides tenants with an opportunity to state their case in court and avoid eviction. Landlords may not turn off utilities or lock out tenants to force them out of the unit. A landlord must have a legal reason to evict a tenant in West Virginia. Legal reasons for eviction include non-payment of rent, violation of the lease agreement, damaging the property or the expiration of the term of the lease. In West Virginia, landlords must state the reason for eviction when filing a case with the Magistrate Court. Landlords must provide notice to tenants before filing a complaint with the court when evicting tenants for reasons other than lease violations or non-payment of rent. 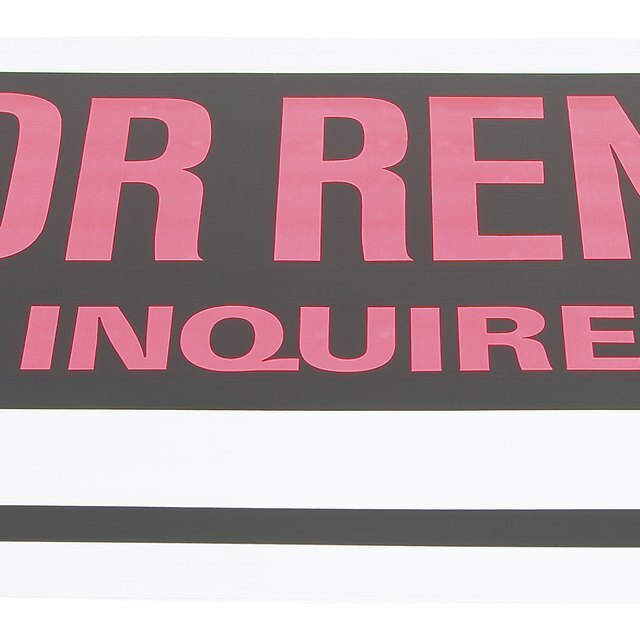 The landlord must provide notice of one rental period before requesting the tenant vacate the property. For example, tenants who pay rent monthly must receive a one-month notice before eviction. In cases of non-payment of rent or violation of the lease, the landlord does not have to provide the tenant with notice before filing a complaint with the court. The complaint process provides the tenant with an opportunity to answer the charges and appear in court. The court date can be in as little as five days from the time the landlord files the complaint with the court. Tenants can request a continuance if they are unable to attend the hearing, but the courts require a valid reason such as illness or an important appointment. Tenants have five days to answer a summons to court. A tenant has 20 days to file an appeal with the court after a judgment has been made in favor of the landlord. The sheriff cannot remove a tenant once the tenant files an appeal. Landlords have an opportunity to file a new eviction case against the tenant before the appeal court date if the tenant fails to pay rent, violates the lease, or the lease agreement ends. Once the court makes a decision to evict the tenant after an appeal, a sheriff will remove the tenant from the property and return possession of the unit to the landlord.